Welcome back to Masterplots Theater! 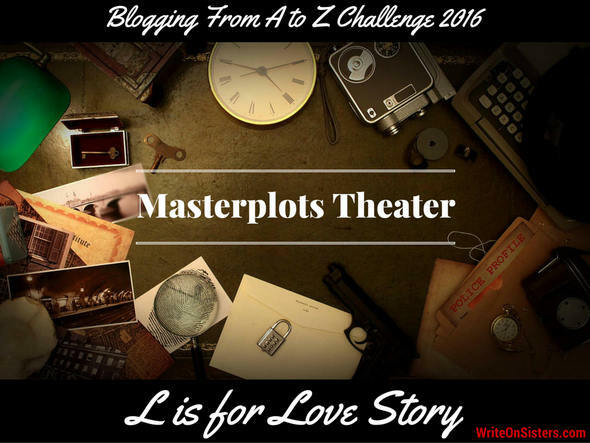 Today we are exploring one of the most popular masterplots of all time: The Love Story. And even if you’re not writing a full-on romance, most stories have an amorous subplot which contains the same plot elements. So without further ado, let’s fall in love! The defining element of this masterplot is the love interest. No kidding, right? If there’s no one to fall in love with, well, you don’t have a love story. And before the protagonist can fall in love, they have to meet the object of their desire. This is commonly called a “meet cute.” I had never heard this term until Robin blogged about it, but it’s true – every love story has that scene where the future lovers meet for the first time. But if the characters met and were like, “Awesome! Let’s start a loving relationship right now!” Well, that wouldn’t be much of a story. So there’s always a Major Obstacle keeping them apart. The obstacle can be personal (character is already married), professional (character’s job prevents them from having a relationship with the other), family-related (in a historical romance the dad doesn’t approve of the union), situational (characters live in different places), etc. It’s also common that the characters in a love story seem ill-suited for each other in some way: popular teen and nerd, prosecutor and defense attorney, rich kid and poor kid, criminal and do-gooder, etc. Again, because people who are obviously perfect for each other don’t make very interesting stories. Ramp up that conflict! The lovers are tested throughout the story, both individually and together. Why? Because love must be earned. Also, this is a good tip to make sure you show that the couple is in love (through tests and challenges) and are not just telling the reader they’re in love. Actions always speak louder than words, especially when it comes to romance. Many love stories have happy endings, but they don’t have to. What’s important is that love was found, even if it can’t last. 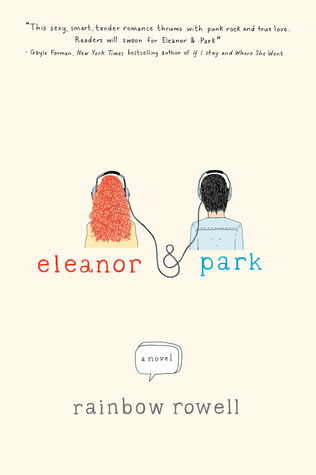 · MEET CUTE: Eleanor and Park meet when none of the other kids will let Eleanor sit with them on the bus. Park takes pity on her and moves his backpack so she can sit beside him. · MAJOR OBSTACLE: Eleanor’s step-dad is a creepy dude who does not allow her to date or do much of anything. · ILL-SUITED: Eleanor is a weird, poor kid from a broken family; Park is a half-Asian misfit who’s actually a tiny bit cool. No one expects them to get together, not even themselves. · TESTS: Eleanor and Park’s relationship is tested whenever they’re in public together. They’re also tested individually with their own family and friends. How they react to these challenges slowly reveals the depths of their feelings for each other. · ENDING: Spoiler alert, but the ending of this novel is not a happily-ever-after. Still, it’s real and raw, and the love they had was true and changed both characters. We hope you enjoyed L is for Love Story and we invite you back tomorrow for our next installment of Masterplots Theater, M is for Metamorphosis. What are your favourite love stories? Do you have any tips for writing romance? Please share in the Comments! Will you do a post analyzing the main plot and sub plot? It’s trying to untangle multiple plots that’s the hardest for me. That’s a great idea for a post, Grace! I am going to aim to write about that topic in May. Thanks! lol. Sorry for giving you work, I would just really love to read it 🙂 Thanks! It’s true that all story have a love story inside them. Well, maybe mot all story, btu certainly the great majority. Maybe that love story will never get in the forefront of the larger story, but it will be there. It’s funny, because I’m not particularly into love stories and I don’t read them, but when I published my book I considered presenting it as a romance (a love story) at first. I mean, my main characters meet and fall in love. They are obviously attracted to each other, but there is a major problem and they have to overcome that problem if they want to be together. I mean, you don’t get more of a love story than this. What has a writer to do? So I’m now presenting it as a historical novelette. It’s true — almost all stories in any genre have a romance subplot. I think the way to tell whether the love story is the main plot or a subplot is to examine the big problem in the story: is it a) something is keeping these people apart and the goal is to solve the problem so they can be together, or b) something else is going on that they must battle/fix and they just happen to be falling in love while doing it. And your friend is wise. Always choices. Mhm, that’s an intersting distinction. But what when one of the characters has a problem they need to solve, but they only realise it when they fall in love? The falling in love isn’t somethng that just happens at the same time as the plot, the falling in love is the ‘trigger’ of the plot. It seems to me that the love story, even if it appears to be a subplot, is often the driver of the action. Maybe because the characters are influenced by their affections, or maybe because we just want to know what happens, the Jim and Pam effect. I enjoyed the post! Thanks, Ellen! I think humans in general are obsessed with love and relationships, so even if the romance isn’t supposed to be the main plot, the audience still sees it that way. It’s like with THE HUNGER GAMES – people who haven’t read the series think that it’s just a love-triangle story, but Katniss isn’t obsessing about boys, she’s trying not to die! The readers were the ones who focused on the love story, which was just a small aspect of the plot. A solid description of love stories. I like your example because it’s a bit out of norm, the story being an anomaly from the standard HEA ending, but still a love story. The range of love stories, like the range of any kind of story, encourages exploration into an imperfect resolution. Thanks, Sharon! I like that line: “encourages exploration into an imperfect resolution.” I think stories with endings that aren’t ideal are so important to show the range of human experience. I remember a time in my life when my friends and I were so unsatisfied with our love lives, and I wondered if society and media and movies had given us unrealistic expectations for that perfect HEA. Either way, it’s healthy to show love in all its forms and outcomes. Good info. I loved Eleanor and Park, and I think it was a great example. It’s funny how everything you said is true, but in a good story, it’s all so blended together that the seams don’t seem obvious. That is the magic of good writing – you don’t even notice the writer is hitting the marks because they do so in their own unique and engaging way. I write paranormal romance, and while my stories don’t do “happily ever after,” they do something that I can relate to, and I hope my readers can relate to: “happy for now as they continue to work on their relationships.” Sounds a bit long-winded, but in my experience, love is nothing if not a challenge. What do you reckon? “Happy for now as they continue to work at it” are my favourite kind of love stories too. I’m a realist so am always a bit suspicious of a true happily-ever-after. Looking forward to reading your short story! There are so many love stories out there. How did you pick just one? I love Eleanor and Park. Well, Eleanor and Park is the most recent love story I’ve read, so I suppose it was still on my mind. 😉 And because it’s ending was not what I expected, it really stuck with me. Thanks for the comment, Kate! You’re welcome! We’re always happy when we inspire other writers. A lot of my stories have a love story element. Not always major to the plot, but they meet someone they feel an attraction to that is important to the story. Very true! The Love Story can exist within any genre, and because love is a universal need, most novels and films have a romantic subplot. Thanks for the comment, Patricia! I’m going to take the opposite view of Gulara, just to be contrary…and to make a point. There are certain ‘tropes’ that readers expect in any given genre. In romance, the normal expectation is, no matter what happens in the story, there will be a happily ever after. That’s why romance is so popular. Love always prevails at the end. Your example book is doing very well from a sales perspective but it’s YA which is a huge market that devours anything YA. It also has the advantage of having a big publishing house behind it. It doesn’t fit the norm, or the trope as it were, at all but those two factors weigh heavily in its favor and so it’s doing just fine. Yes, a ‘love story’ doesn’t have to have a happy ending to be successful but, for most writers struggling to get their work noticed, why hinder yourself from go? In a classic romance, yes, people expect a happily-ever-after. However, I was aiming a little broader with the Love Story plot. Half of my examples don’t have a typical “the two characters live happily-ever-after” ending, yet all were love stories and all were hits. I don’t think ELEANOR & PARK is an anomaly, it’s simply a variation from the classic romance, and it’s not the first of its kind. It’s important to note that none of these Love Stories end on a downer; all have hope for the future, and the future may even be bright! It’s just that the two lovers won’t be spending it together, and that’s okay. It must have been hard to choose an example for this particular one, given how many love stories are out there. But I really love the example, and it shows the intricacies of this kind of plot. Another great post, Heather, thank you! Thanks, Gulara! Yes, I picked a Love Story that wasn’t a typical HEA to show the variety, because a lot of people think of a classic Harlequin romance when they hear “Love Story”, but this masterplot has more versatility than that.